Tonight’s Fun and Fancy (but totally not free) dinner fixins include steak sandwiches lovingly hand-crafted by the Fella (!!!) and the last of the Ben & Jerry’s in the freezer. I’m sorry there’s been such a lag between Disney Odyssey posts, but the renaissance faire happened, and so did some very important family birthdays/reunions and whatnot… and there’s so much going on wedding-planning-wise that we’ve not been able to get through these last few package films in the 1940’s. 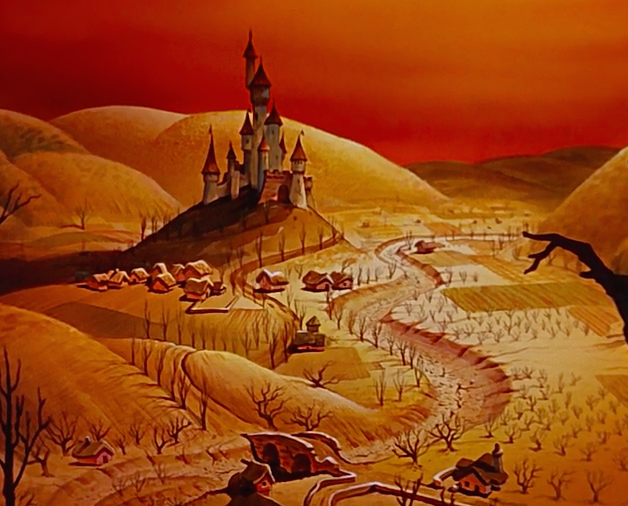 Once we do, we will be in the 1950’s and start the “golden age” of Disney animated features… Hooray! Fun and Fancy Free should be… well… fun! After all, there’s only two segments, rather than the scattered roller coaster ride that was Make Mine Music. We’ll see how this one holds up! This is the last film in which Walt Disney provides the voice of Mickey Mouse (which he had done since Mickey’s debut in 1928). Afterwards, he replaced himself with SFX artist Jimmy MacDonald. This is another “package film” – films Disney released that are comprised of smaller segments rather than one big story. The war affected production in so many ways: scheduling, budget, interest/demand, etc. so the company lumped smaller ideas together to release them at one time. 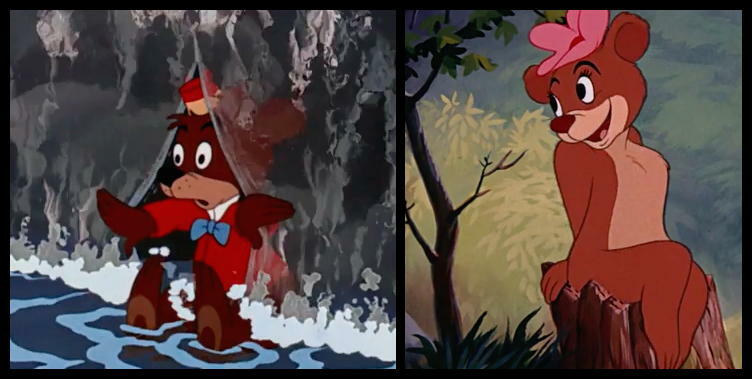 The film’s two segments, “Bongo” and “Mickey and the Beanstalk” were originally intended to be two separate feature-length films. 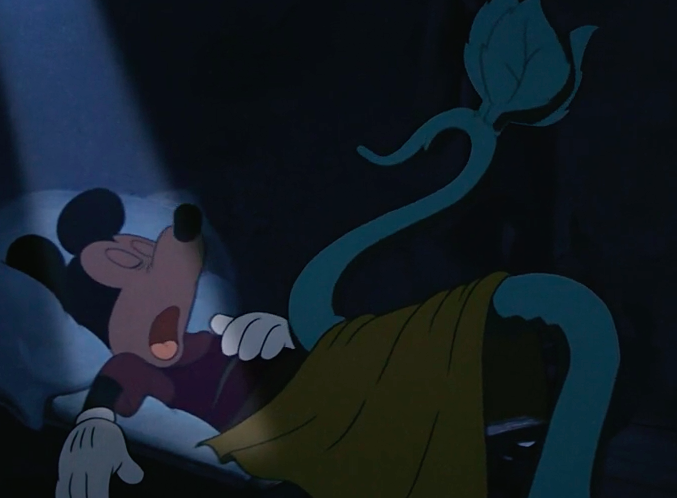 There were several treatments of the Jack and the Beanstalk segment, but many scenes were tried and deleted in production; the end result does not address how precisely Mickey acquires the magic beans. The “Bongo” segment is based on a short story by Sinclair Lewis for Cosmopolitan magazine in 1930. 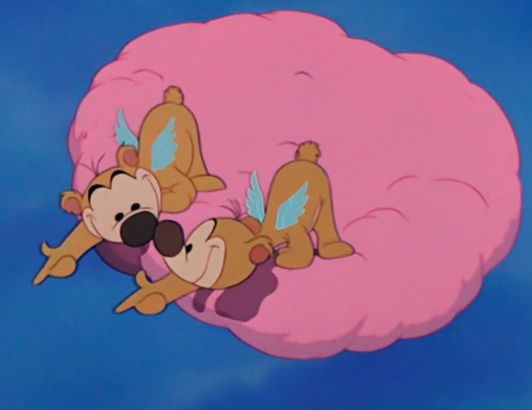 Original pitches had indicated that they would use “Bongo” as a prequel to Dumbo, but those ideas never quite got off the ground (unlike Dumbo, who can, in fact, fly). 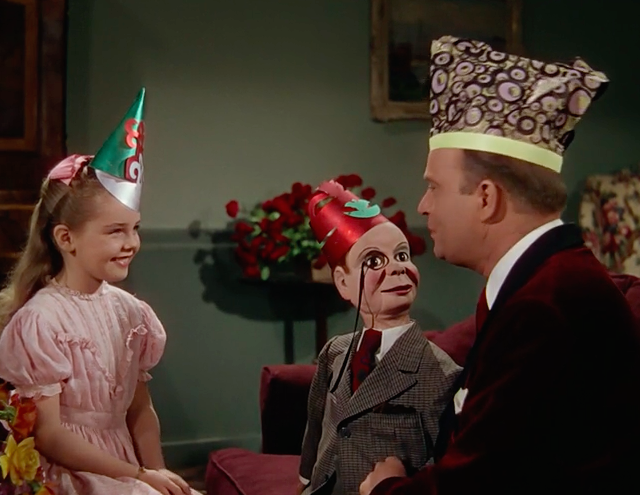 The segments are introduced by contemporary celebrities Edgar Bergen and Dinah Shore in order to boost enthusiasm and interest for the film. Edgar Bergen was a radio performer, actor and comedian known for his skillful ventriloquism, especially with his cheeky boyish character Charlie McCarthy. Dinah Shore was a popular singer and actress of the time. 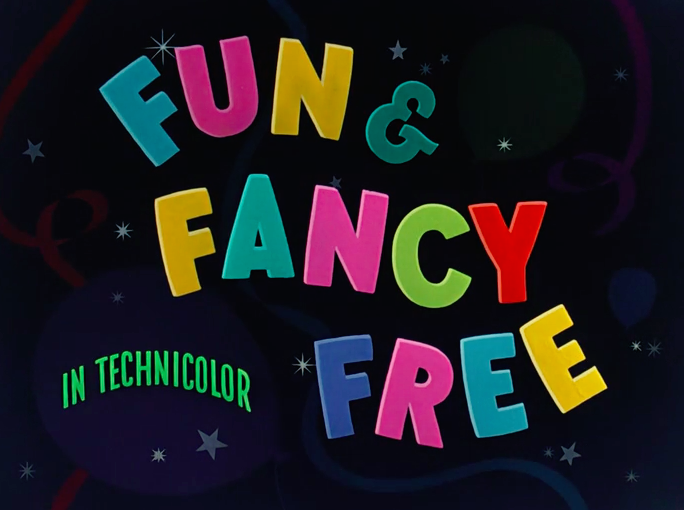 Fun and Fancy Free was released in September of 1947, and received a decent box office reception. 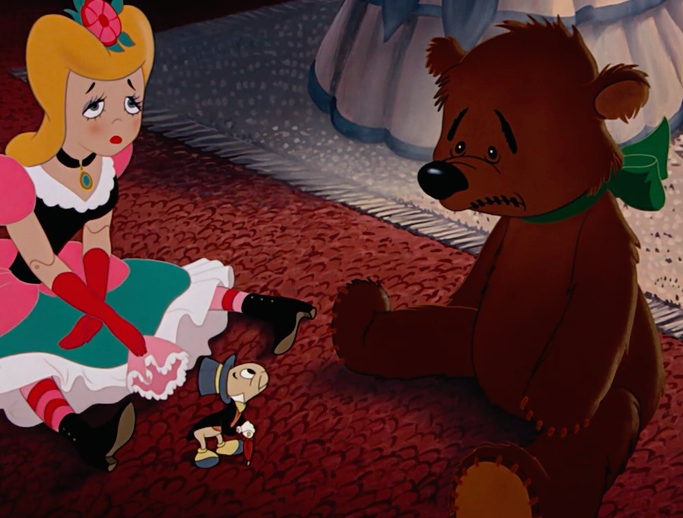 It helped finance later films such as Cinderella, Alice in Wonderland, and Peter Pan. There’s an introductory appearance by Jiminy Cricket, the first of many later appearances he would make in other films and TV specials after Pinocchio to educate, entertain, and introduce the feature at hand. At this point, Jiminy Cricket is officially 10 years old (as a character). He debuted in 1937 and here he is, still hoppin’ and singin’ the intro song. Also included in the preshow cameos is the goldfish from Pinocchio, Cleo! There’s a cat, too, but he looks more like Lucifer from the still-to-come Cinderella than the kitten Figaro. Sad Can-Can Dancer and Awkward Bear do NOT want to talk about their feelings right now. Bongo suddenly stumbles into the studio set for Bambi! Haaaaaang on a second. 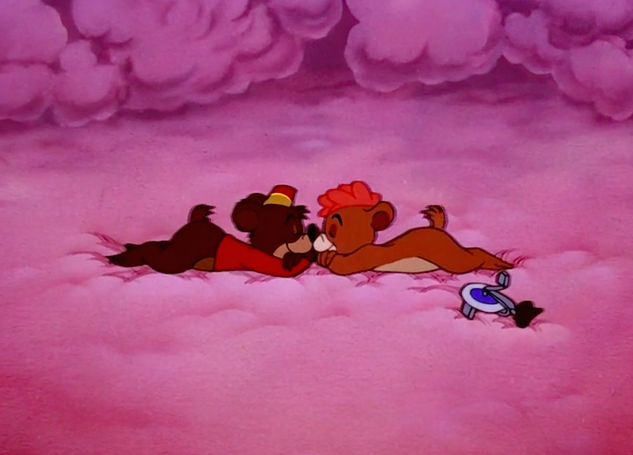 This scene is basically the same scene as in Bambi except with bears instead of deer! They… slap each other to claim romantic ownership. I think. But wait! Lulabelle slaps Bongo twice and seems to need him to reciprocate for it to be valid… but she slaps Lockjaw by accident once and suddenly that’s a MARRIAGE vow? Bear slapping laws are bizarre and complicated. And all is well! BONGO IS NOW KING OF BEARS PLEASE THANK YOU YES. The Fella and I have NEVER engaged in romantic display such as this. Never. So the Fella didn’t know who Edgar Bergen, Charlie McCarthy, or Mortimer Snerd were. I had to pause the movie to explain it to him. These three showing up in the middle of a Disney flick is like if we went to see Frozen 2 and Stephen Colbert, Jon Stewart and Jimmy Fallon were surprise guests in the film. Hang on, why aren’t this little girl’s parents/older siblings/adult guardians at this little party with her? Unless Mr. Bergen is her guardian… but the invitation said he lived ‘across the way’ from her house. Call it a different era, folks – today that’d be super creepy. 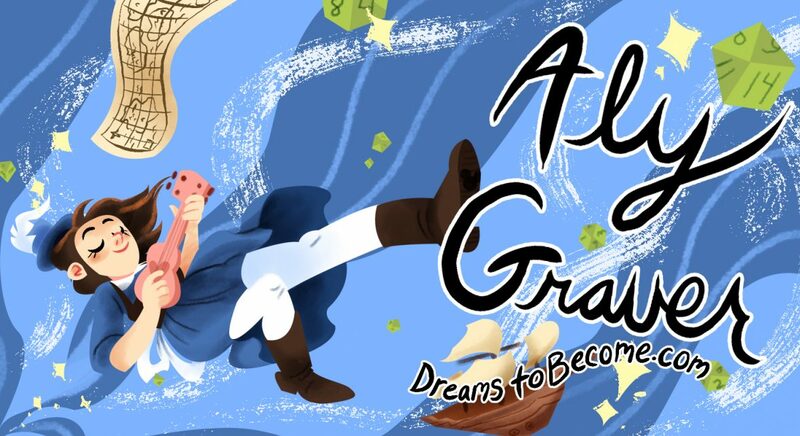 Is this foreshadowing to Alice in Wonderland, or…..? Happy Valley! I remember this cartoon very well – the Fella has very very vague memory of it, so he’s laughing at all the jokes like they’re new. That whole castle is there and nobody lives there but a golden anthropomorphic female harp??? I love that the beanstalk has a consciousness… like, it takes care of them as it grows and they sleepwalk. Harp-in-a-box is foreshadowing to Tinkerbell being locked in the sewing drawer! 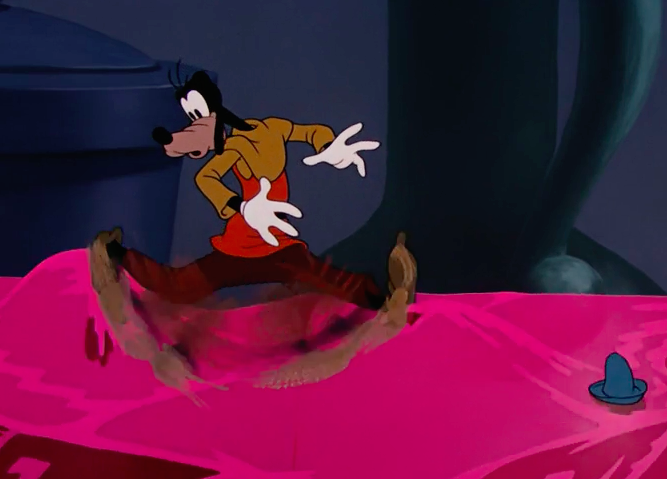 The Fella and I both have strong childhood memory of Goofy on the jell-o. WHY can this giant shape-shift? I don’t know where that part came from. Or why it’s necessary. So now there’s a giant in the room. Mickey is on his palm. Mickey is now Actual Mouse Sized. This is a mind-melting moment. Also Mickey is totally Arlecchino right now! Cleverly trying to deceive the giant and save the harp so he and his buddies can get fed. They’re such zanni peasants in this one. And everyone goes home happy, and the Valley is happy, and the harp is happy, and the nice ventriloquist man faints because the Giant is real. THE END. Commedia Bonus: 31!!! There are soooo many lazzi in this movie. 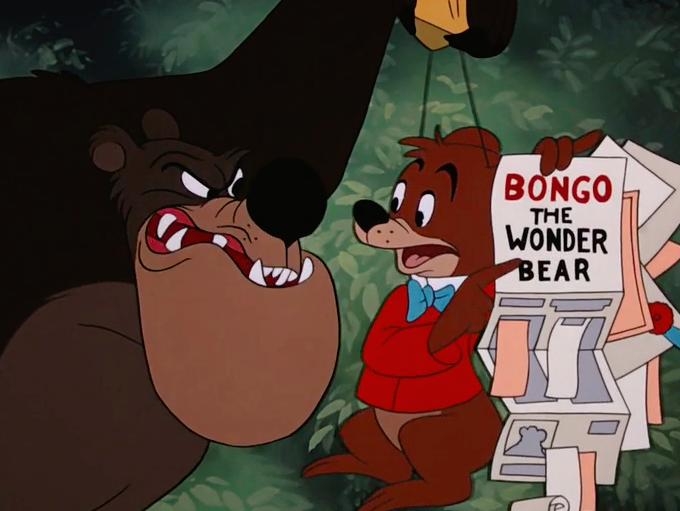 Bongo has a ton of pratfalls and the Beanstalk story has lots of good physical comedy too.